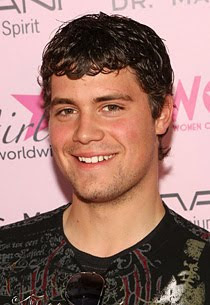 Levi Johnston Threatens to Delete His Twitter Account; or: Noooooooooo! ; or: Go Team Levi! • Watching SNL. Drew Barrymore is hosting. MAN HOW OLD IS SHE LIKE- 40 NOW ? • IS LADY GAGA A MAN ? Well, it looks like Levi's Twitter account is getting a stay of execution because he hasn't yanked it yet (as of this writing), which means I can continue functioning normally from day to day—at least for now. I'm sure Levi visits Bamboo Nation from time to time (you know he's got a Google Alert going, just like everyone else), so for him I say, "GO TEAM LEVI!" You'd better say it too. I don't like it when Levi threatens to keep his love away from me. And for all you haters, you must read this passionate, astute article: "Levi Johnston Has Earned Every Bit of Fame He’s Received, and the Sooner You Accept That, the Sooner You and I Can Be Friends." BAMBOO NATION: Levi Johnston Threatens to Delete His Twitter Account; or: Noooooooooo! ; or: Go Team Levi!